Kellam Mechanical offering helpful information for home owners. Welcome to the Kellam Mechanical blog where you will find helpful hints on how to keep your home comfortable all year round. 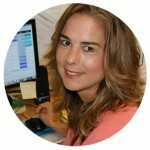 Sarah Kellam from Virginia Beach’s Kellam Mechanical shares the latest information in industry standards, tips on saving money and what you need to know about your homes HVAC maintenance. Technology has launched the shopping experience into a new level of convenience. Household internet shopping can include stocking up on toilet paper, baby food, light bulbs, cereal, clothes, kitchen sinks and even air conditioners or furnaces; these items can be delivered to your home with the touch of a button. 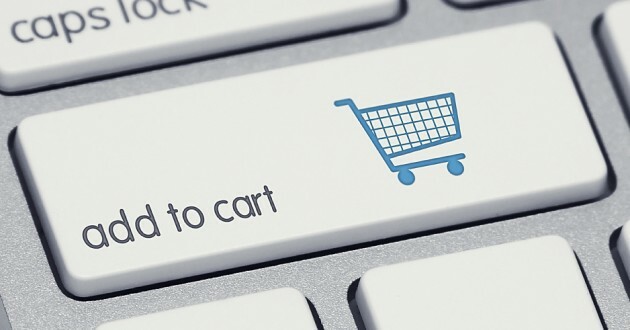 Buying household basics online makes sense and frees up your around town errand time, which is valuable. However, purchasing HVAC equipment or parts online is not as cost effective as it seems. Air conditioning and heating system online shopping could cost 3x more money than purchasing the parts or equipment and labor directly through a contractor. A $13 air conditioning capacitor online is not as simple as ordering a light bulb and screwing it into the fixture. The correct size of the capacitor needs to be obtained, correct installation and proper benchmark readings should be achieved for it to work properly. 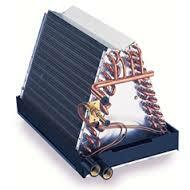 Mini-split heat pumps can be found online for $1,300.00 including shipping. Now what? Did you get a load calculation, order the right equipment size, line sets or permits? A skilled professional may charge $130 for a capacitor repair. A tradesman may charge $4,200 to install a mini-split system. It is not just about the value of the equipment or part online, it is the value of the skilled professional, city code compliance, inspections, EPA regulations, warranty, proper installation, achieving safe benchmark readings, convenience of his/her office on wheels, stocked parts and carrying a business license and insurance. 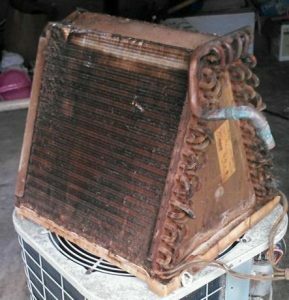 Why won’t my air conditioner cool below 80? It is so hot outside, why won’t my air conditioner cool below 80 degrees when I need it to? Hot days drive home owners directly to the thermostat to punch that “cool me down” button from 75 degrees to 70 degrees. After an hour or so, with no noticeable improvement, back to the thermostat, to discover the temperature has not changed comfort levels inside. On hot days that reach close to 100 degrees, you may discover warmer indoor temperatures. Generally systems are designed to perform up to 20 degrees below outdoor temperature readings. Extremely hot days will also run your air conditioner for long periods of time. Dropping the thermostat way down dramatically may not be the solution. It could take 4-6 hours for your system to satisfy the thermostat setting on extremely hot days or post repairs. If your home does not cool down over night, call to schedule a qualified HVAC technician to troubleshoot the system. There are many potential parts that could fail after your system has been running many hours consistently. Plumbing clogs are a nuisance. Imagine all of the things that can contribute to a clog. Hair, food, dirt, paper, toothpaste clumps (kids love to squeeze the tube), floss, and grease are all potential items that can contribute to a clogged drain. Occasionally we experience a stubborn clog that needs more attention than just verbally begging your standing water to drain. Then when you hear it gurgle back at you in response, it is time to take action. Discontinue using the sink to avoid the clog worsening and potentially damaging your household pipes. Avoid messy and damaging flooding. The first thing that might enter your mind is to pour drain cleaners down your pipes. However, that is not an ideal solution. Household cleaners contain harmful chemicals that can cause chemical burns to your skin and eyes and have the potential to cause inflammation to your respiratory system as well and corrode your plumbing pipes. If splashed in your home, they can also cause damage to your paint or wood floors or trim. If you do store or use household chemicals, keep them secured so they are inaccessible to children and pets. Time flies, so your faulty plumbing has probably been lingering longer than you think. Tuning it out is not the answer. Tune back in to get those drips and get it fixed. 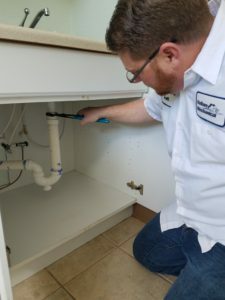 It is likely you have other plumbing issues to address, so for the purpose of conservation and efficiency, schedule a qualified plumber to get all of your repairs done at the same visit. Kellam Mechanical now offers residential plumbing services to save you money, so when you see water damage or hear water dripping, act on it. When you have a drain clog or broken garbage disposal, act on it. After you scream in the shower when only cold water hits your skin, act on it. Call an experienced plumber. 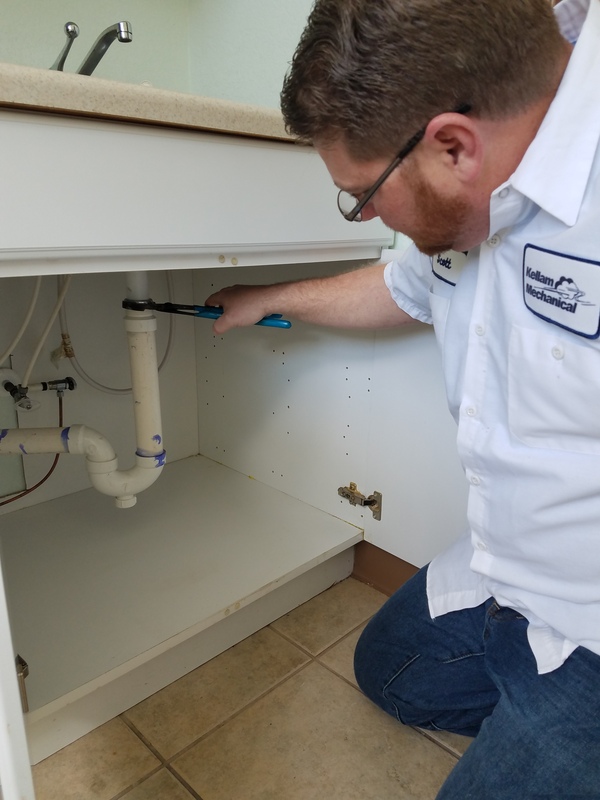 Call Kellam Mechanical to get your Plumbing Savings Agreement, which includes an inspection of all sinks, toilets, showers, tubs, drains, gas piping, garbage disposals, ice makers and vent piping as well as water heater flush. Repairs and replacements can be resolved with 1 phone call: 757-430-0358. Appointments at the click of a button! Air Conditioning condensate clogged drain lines are common in our humid Tidewater region and can cause costly water damage. It is important to keep your air conditioner regularly maintained to avoid this inconvenience. Drain lines clog when dust, dirt, algae, insects, grime, rust or insulation settles in the drain pipe. This causes water to back up at your indoor air handler equipment which overflows the drip pan and potentially leak through your ceilings, floors or walls. It can also allow for bacteria, mold and mildew to grow, circulating spores through your ductwork, affecting your breathing space. It is advised to turn your system off, then call a professional to clear the drain to prevent further home damage and system failure. Invest in an annual HVAC maintenance program. Kellam Mechanical loves the annual maintenance program since it pays for itself through energy savings, program benefits and discounts. Drain lines are inspected at each visit and cleared when there are signs of clogs. Schedule a professional technician install a float switch and EZ trap to automatically shut your system off when water is detected backing up. Are you a DIY nut? Attach a wet/dry vacuum to the ¾ PVC primary drain line that exits the exterior of your house located close to ground level near your outdoor air conditioning or heat pump equipment. Ensure your vacuum has a good seal for effectiveness. Power up for 3-5 minutes. Examine the contents that were obstructing the drain line. You might be surprised with the lovely remnants. However, if you are DIY nut, the leftovers probably won’t faze you. Now your breathing air is cleaner and your system is in better operating status. If no junk has been extracted and you still have system failure symptoms, you may need further trouble shooting from a qualified technician. If you have not thought about your comfort equipment maintenance in a while, now is the time! All mechanical equipment needs regular maintenance, so spending the money to maintain it is saving more than repair costs! Know someone who needs equipment maintenance? Tell ‘em Kellam! Mother Nature: Coastal environments can contribute to advanced coil damage with sand and salt water corrosion. Storms are not friendly with air conditions or heat pumps delivering debris in the outdoor units, causing airflow restrictions and corrosion. Living on or the near coastal regions can expedite equipment aging and shorten the equipment life. Virginia Beach resort area, Croatan and Sandbridge specifically have seen equipment last only 5-7 years when not regularly maintained or coil coated. Air conditioners and heat pumps inland should experience a life span of 10-12 years. Copper coils are also subject to microscopic cracks from nature’s affects of formicary corrosion. Installation: Brazing joints incorrectly can create pinhole leaks that could likely cause slow leaks, taking several years to notice the uncomfortable affects. Manufacturer Processing: improper welding, packing or shipping may create holes as well. Inadvertent Damage: Nails through the line set in the wall when hanging wall décor, outdoor project mishaps: weed eating too close to equipment damaging lines, standing on equipment attempting to work on exterior improvements or materials/tools falling in unit causes damage, outdoor kids activities, power washing or animals/pets digging or clawing at equipment. Even an animal’s urine can corrode the components. Huffing: It has been reported from enforcement agents that teens have been caught huffing refrigerant to get high. This is dangerous and can cause brain damage, lung damage or even death. Refrigerant locking caps are a great solution to prevent refrigerant theft and save lives. The cost of refrigerant has fluctuated tremendously over the past several years for R-22. We have seen R-22 rise to approximately $190 per pound for the consumer in the past 4 years. R-22 operated equipment is no longer manufactured, so there is a limited supply controlled by the EPA, so costs have risen. More efficient equipment has been designed in recent years requiring R-410 which is a more environmentally friendly product and in ample supply. Invest in an annual maintenance agreements with a qualified HVAC contractor. Research shows that annual maintenance reduces failure rates and saves you up to 30% on heating and cooling energy bills annually. 2. Change your filters monthly. Dirty filters can restrict airflow and cause system failure. Geothermal technology delivers incredibly high efficient comfort; up to 80% more efficient than a conventional system. It uses the earth’s constant temperatures using wells 6 feet below the surface to heat and cool your space. These highly efficient systems use electricity to move air, not to produce it. According to the Environmental Protection Agency geothermal systems are “the most energy efficient, environmentally clean, and cost effective space conditioning system available today.” Geothermal systems do not use fossil fuels, so there are no combustible gas emissions, which reduces your carbon footprint and eliminates harmful health effects. Statistics also prove that Geothermal equipment has a lower failure rate than heat pumps, gas package units, air conditioners or furnaces. Installing a geothermal heating and cooling system in your home or business has many benefits. 1. It has a life span twice that of a conventional system. 2. It is less expensive to install and operate than 2 conventional systems replacements. 3. It is the highest efficient equipment, saving bucket loads on energy usage. 4. It is earth friendly. 5. Increases your property value. When considering replacing your Geothermal system or converting to Geothermal, call a qualified contractor. Kellam Mechanical employs technicians that are certified through Geothermal specific training classes to install, repair and maintain Geothermal equipment. Converting to Geothermal is a smart choice. Kellam Mechanical offers free quotes. Now is the best time to live greener and benefit from a time sensitive tax credit of 30% that expires 12/31/16. Kellam Mechanical opened April 1, 1995. For 21 years Scott Kellam has dedicated his time and energy into the business he loves because he loves the HVAC industry. As a teenager in 1977, he learned the trade from his father and grandfather in their family owned and operated Heating, Air Conditioning and Electrical business and loved working there until he decided to start his own adventure. When you ask him what else he would do for a living if he were not in the HVAC business, he says with a puzzled look as if there is no other possibility “Nothing, I am right where I have always wanted to be.” Bringing comfort to the families in the Tidewater area of Virginia, where he was born and raised has always been Scott’s focus. Our 4 distinct coastal seasons have kept him quite busy through the years. Making customers comfortable and happy is only half of his goal. Making his family of employees happy and comfortable is the balance. There are many details involved in making a business successful and Scott Kellam has worked hard to balance all of them. With 25 employees to help Kellam Mechanical deliver quality customer service, he has an excellent support system. In addition to running a locally owned business for 21 years, Scott has also been heavily involved in the Virginia Beach community. He loves lending his time volunteering with The Virginia Beach Clean Community Commission, The Chesapeake Bay Foundation, The Virginia Beach Education Foundation and led the local Air Conditioning Contractors of America chapter as President from 2012-2014. Many business men work very hard for many years without recognition, but Scott Kellam is an exception. He has been blessed to receive recognition on the state and national level. 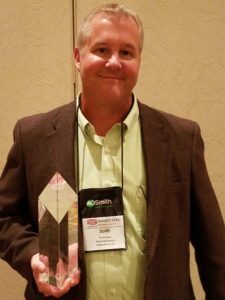 On September 7, 2016 Scott Kellam received the Contractor of the Year award representing the state of Virginia through the Plumbing, Heating and Cooling Contractor Association. This was an incredible honor to be recognized for our state, but an even more prestigious award followed. 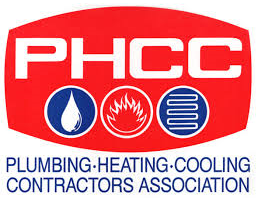 On October 21, 2016 he was awarded the National Contractor of the Year through the PHCC Association. Scott Kellam graciously accepted the award in San Antonio, Texas. This was a memorable event and has inspired Scott to keep working hard at maintaining his reputable local Virginia Beach company. Scott’s reaction to this acknowledgement: “ I am honored to be considered a top leader of this industry and many thanks to our loyal customers and employees that have been along for the ride to catapult Kellam Mechanical above the average HVAC business“. Power outages are never convenient. We have become accustomed to our on the go lifestyles, so when our routine is broken it can be frustrating. Electrical surges, thunderstorms, hurricanes, construction accidents, power company failures or floods can all cause power outages. Hampton Roads is familiar with all those scenarios. 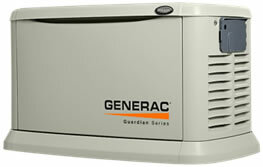 Installing a standby whole home generator will solve any home or business lifestyle inconveniences. Generac has also added another brilliant feature to our life of technology. Mobile Link allows you to remotely control your generator. Mobile Link It gets installed on standby whole home generator and with a simple set up, will communicate with your smart phone, tablet, laptop or PC. Life on the move allows you to set your generator exercise schedule. It will also alert you by email or text if a failure occurs or if equipment maintenance is due. It will also alert you for incoming severe weather. Hampton Roads has had our share of named storms, so to avoid power outages, call Kellam Mechanical today to schedule your free quote. 757-430-0358. 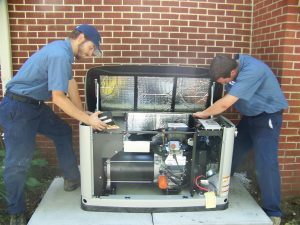 Kellam Mechanical Generac certified technicians can also provide repair and maintenance. Know someone on the south side who loves hot showers, a working refrigerator and lights while their neighbors are in the dark? Tell ‘em Kellam! 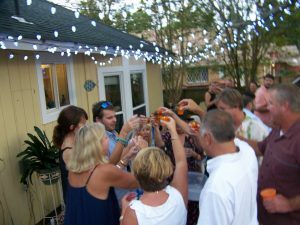 Disclaimer: Not responsible for your house being designated as the hurricane block party house. Dirt is the #1 reason for cooling and heating system failure. Repairs can be expensive, therefore dirty is expensive! Clean is efficient. Efficiency saves money and reduces inconvenient failures. Dirty filters. Filters covered in dirt, dust, grime, pet dander, cigarette smoke, dead skin, bacteria, germs, hair, and more yucky stuff affect the airflow and operation of your comfort system . These restrictors can contribute to equipment breakdowns, leading to repair costs. It is recommended that you change your disposable filters or clean your electronic air cleaners monthly. Dirty coils. Your outdoor comfort system coil can collect dirt, grass, dust and yard debris, all of which can lead to excessive equipment stress, and in turn contributes to compressor and refrigerant repair costs. 3. Unexpected, unwanted surprises. 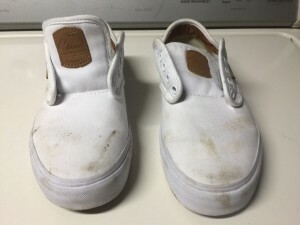 Other dirty things can make their way into your system, whether the equipment is located outside, in your closet, in the garage or in the attic. Service technicians have been surprised with some interesting critters during repair visits, from bugs stuck in the contactor which halts the equipment; mice chewing through ductwork causing air leakage, or dead in ductwork, which delivers decaying smells; squirrels that nest in attic air handlers; brown recluse spiders have been discovered in the outdoor unit; even a snake wrapped around an outdoor unit fan blade that caused the system to seize. 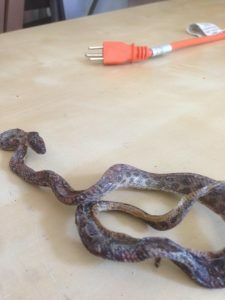 Unless you are an outdoor wildlife fanatic, you might prefer a technician remove these critters, right? Annual maintenance creates efficiency, reduces failure rates and lengthens the life of your equipment. All benefits equal money saved. System components need attention regularly. Compressors are the heart of the system and the filters are like the lungs so these vital components deserve to be protected and cared for. Kellam Mechanical’s annual maintenance program pays for itself through energy savings, program discounts and benefits, so schedule your maintenance appointment now. Know someone who wants reliable indoor comfort that saves money while critter free? Tell ‘em Kellam! For the love of laundry! Kellam Mechanical promotes green household products, so If you are tired of spending so much money on laundry detergent here is your new solution: Laundry Pro. This revolutionary green product replaces the need for detergent, bleach, fabric softeners, sorting and front loading washing machine cleansers, such as Afresh. It reduces landfills. It eliminates odors, chemical use, pollution, static, and shrinking clothes. Laundry Pro preserves fabric during the wash cycle, protects bright colors from fading and makes clothes softer. It is better for sensitive skin, reducing itching or redness from allergic reactions to detergents. It may be hard to imagine your life long routine changing; however, it is a money and time saver. Now you can pass the laundry detergent aisle at the store. Installation is simple, requiring existing washing machine hookups and about 2’ x 2’ space to mount the device. Using cold water, Laundry Pro activates oxygen to remove dirt away from fabric fibers to prevent odor causing bacteria growth. It requires no maintenance, works with well or city water, made in Virginia and comes with a 2 year warranty. This product is smart! Oxygen, peroxides and other gases bubble into clothing to lift away dirt and odors. However, a stain removing product may be necessary for really tough stains. This USA engineered and manufactured product has a glowing blue light when operating and indicates when attention is necessary. The average household of 4 spends about $500 annually on laundry costs including detergents, fabric softeners, machine cleansers and energy. Your earth friendly investment will give you a return in just over a year. Clean clothes for the kids and grandkids all while earth friendliness, saving money and time is a brilliant solution. New Laundry Pro users rave about it! If you are ready for to be rescued from your laundry woes, call Kellam Mechanical now to have a qualified technician install Laundry Pro for you on the south side of Hampton Roads, Va. 757-430-0358. Know someone else who needs Laundry Pro? Tell ‘em Kellam! 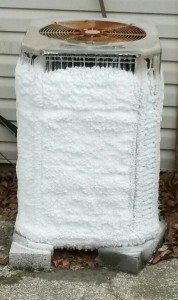 HEAT PUMP ICED UP LIKE FROSTY THE SNOWMAN? What is wrong with my heat pump? Is this normal? Electrical surges occur frequently without warning. Your home can be a victim of a power surge generated from the power company, a fallen power pole, a lightning strike or even from your own appliances inside your home. In the blink of an eye you can have damaged appliances that can be costly to replace, accompanied with the painful insurance claims process. Technology has produced many costly plug-in electronics in our modern time that we furnish our homes with including flat screen TV’s, DVR’s computers, stereo equipment, modems, routers, washers, dryers, microwaves, stoves, refrigerators, HVAC systems, coffee makers, etc. Preparedness and surge prevention are simple and cost effective. A whole home surge protector can be installed on your electrical panel in less than 2 hours by a qualified technician to secure your property from spike damages to your valuable electronics including your heating and cooling equipment. When your home is inflicted with a sudden surge through your power lines leading into the home, the device immediately detects the excess current and diverts it through the grounding path. There are a variety of products that can meet your needs and the type selected drives the level of warranty offered. 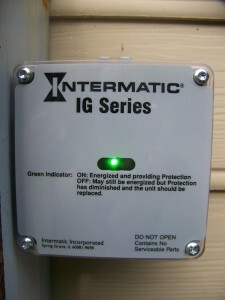 Intermatic is a quality whole home surge protector that delivers dependability. Warranty on that product can range offering 3 – 10 years and carry a range from $7,500 – $25,000 on your equipment warranty coverage. Installing a whole home surge protector for the starting installation price point of $439 is a smart investment. There are also surge protectors that are manufactured specific to heating and cooling equipment. Air conditioners are an expensive investment so if you are not interested in a whole home surge protector, investing in equipment surge protection is great alternative. The cost to install an equipment surge protector ranges from $184 – $349. Your electronics and comfort systems add up to thousands of dollars, so this simple solution is well worth the cost. DRASTIC CHANGES TO WATER HEATER STANDARDS…BE PREPARED! Do you have a favorite appliance? Your water heater has to be up there on the top of that list, right? A hot shower starts the day just right to wake you up, unless it is showering you with ice cold water. Then it really wakes you up with a startle. How old is your water heater? Conventional water heaters act as one of the largest household energy consumers, behind your heating and cooling systems. According to Consumer Reports, your water heater eats up to 30% of your energy budget. Maintaining your water heater annually is a recommended practice that reduces failures and extends the equipment life. It is common for aging water heaters to rust and leak, so keep a close eye on yours, especially if it is located in your attic. Leaks can cause expensive and inconvenient damage to ceilings, walls and personal belongings. Flood-safe shut-off valves are also a smart solution. They detect leaks then activate the shut-off function to prevent unnecessary water overflow damage. The most common water heater size for single family homes is 40-50 gallons. Drain pans will not hold 50 gallons of water! If your water heater is older than ten years, it is time to think about replacing it. Replacing your water heater often occurs when an aging unit fails, causing a small crisis when water is leaking or cold water is your only option until your new unit is installed. That process can create a hiccup in your daily routine since you have to coordinate a technician to diagnose, propose a replacement quote, order equipment and schedule installation. In addition, there is now one more step to consider. Manufacturers have recently changed the standard sizing, increasing the dimensions due to EPA increased energy efficiency requirements. This can be a challenge for homeowners with limited space or access to existing water heaters. Gas water heaters are now about 2 inches larger in diameter bringing it to about 22 inches. Most attic accesses are 22 ½” wide not including the frame. The height has increased about 4-6 inches. The best plan is to have a professional assess the specifications of your existing water heater and access, identify if it is gas or electric and measure the dimensions of your space to determine if a newly manufactured unit will fit. Then you can have a proactive quote for planning. 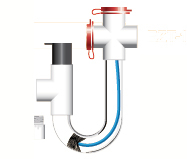 With new dimensions on the market, the existing water pipe and exhaust connections may not match up. If it will not, it is recommended to prepare your closet or attic access for the new water heater dimensions. Kellam Mechanical has seen some applications where modifications to attic eaves, removing attic access frames, re-venting and re-piping were required to allow room for the new equipment. 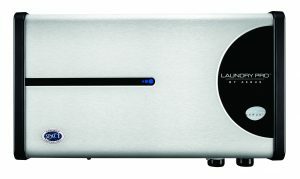 The manufacturers do not produce the units as small as the older models anymore and are no longer available to purchase. The good news is energy-efficient technology has advanced so take advantage of welcomed savings when selecting a new water heater for your home. Tankless water heaters also provide a solution since they are smaller in size. Tankless water heaters deliver exceptional efficiency and since it heats water as used, not stored, there is an eternal supply of hot water. They also last about 20 years compared to the conventional water heater’s life expectancy of 10 – 15 years. Repairs are historically fewer, parts are easier to replace and the tankless model is less likely to leak. Its design is small, a welcomed space saver. Energy Star reports that tankless water heaters can deliver up to 34% energy savings using 86 gallons less daily equaling approximately $95 annual savings and $1,800 over the lifetime of the equipment. Water heaters are not the only appliance with larger dimensions…washing machines and refrigerators are on that list also, forcing homeowners to modify their laundry and kitchen spaces. I speak from experience, I just purchased a new washing machine in a few weeks ago and it does NOT fit in my beautiful custom built cabinets. So, my cabinet rebuild starts now. It seems bigger is better these days. When scheduling your water heater repair or replacement, turn to a licensed and insured contractor. Kellam Mechanical dispatches NATE certified professionals to deliver code compliant service. Replacement quotes are free. Click to schedule repair or replacement quote or call 757-430-0358 right now! The first 20 years in business has been amazing and a blessing to bring so many people comfort. We look forward to delivering heating, air conditioning and electrical excellence for another 20 years. Know someone who wants a contractor that has staying power? Tell ‘em Kellam for another 20 years! Did you know that lawn and landscaping maintenance can affect your indoor comfort? Proper airflow is essential for your heating and cooling equipment to operate correctly and safely. Restricted airflow can cause equipment to lose efficiency leading to higher monthly utility bills as well as failures which can result in expensive repairs. Keeping your comfort system annually maintained is a sound solution and smart investment. A skilled technician will perform tasks to keep your coils and burners clean and safe in addition to many other helpful tasks, but there are things that homeowners can do on a regular basis to ensure proper system operation. Changing filters monthly is necessary as well as keeping equipment clear of obstructions. To keep your outdoor equipment safe from airflow interference, it is best to allow for at least 2 feet of clearance around the unit from greenery such as shrubs, trees and ivy as well as roots, fencing, other equipment or structures. 4 feet of clearance should be allowed above outdoor unit installations. This space also allows a technician to access all sides of the equipment for repairs and maintenance. It is also important to install your outdoor comfort equipment free of exhaust or dryer vents because lint blown into the compressor can cause a clog and a failure. Overgrown greenery can creep its way into your outdoor compressor and cause it to fail so get your green thumb out there and maintain your yard around your air conditioner, heat pump or package unit for the sake of your indoor comfort. The picture shown is proof that yard growth is damaging to this Virginia Beach compressor. Our NATE certified technician quickly discovered that the condenser fan motor failed because it was forced to work twice as hard to move air due to the restricted airflow from the bushes and the lack of space allowed between the house. This lawn condition will shorten the life span of equipment. Shrubbery moisture can contribute to unit coil damage causing rust and corrosion. It is also recommended to redirect rain water from dripping off the roof into the unit. In the winter months freezing excess water can seize the fan with ice build-up or damage it with ice failing into the unit. Schedule a qualified Kellam Mechanical technician to assist with any annual comfort system maintenance or system relocation if you have current obstructions. Tell ‘em Kellam is part of the Kellam Mechanical culture. It represents prideful customer service and technical workmanship. People who have a positive experience tend to share it with others in their lives…family, friends, neighbors and coworkers. Referrals are the highest form of flattery and we welcome them. Testimonials are especially strong when they come from someone we know and trust. We place a large emphasis on delivering excellence to inspire our clients to “Tell ‘em Kellam”. How do we that? We represent professionalism through our courteous call takers, act with consideration for our client’s busy lives when scheduling, timely dispatch highly trained technicians who respectfully interact with clients, dress our technicians in clean uniforms, arrive in lettered vans and perform quality system repairs and replacements. Success for Kellam Mechanical is measured when we hear our clients “Tell ‘em Kellam”. When that happens we know we delivered comfort. Society has embraced social media over the past few years and it has become the norm for consumers to refer to review sites to profile a business which influence purchases. In fact, surveys uncovered that 90% of consumers are influenced by online reviews. Those who have taken the time to post positive reviews have been inspired based on their expectations being met and frequently exceeded. 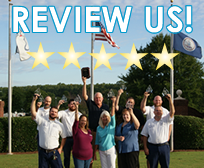 Our testimonials and reviews speak for themselves and we appreciate the Kellam Mechanical staff that inspired our loyal clients to share their experiences. We even have a Tell ‘em Kellam referral program to show our gratitude for those who “Tell ‘em Kellam. “Thank yous” to both of you, Sarah and Scott, for taking a personal interest in the lives of your customers. I can’t remember any other company that we do business with that takes such interest in their clients. Best wishes for a continuing successful business!!! I highly recommend Kellam Mechanical for your heating, cooling and electrical needs. I just recently had my annual maintenance inspection and Jerry W. was very professional and knowledgeable when it came to explaining the process and answering questions about the best filters to use. His efficiency was a breath of fresh air in the hectic world we live in. Thank you to Jerry and the Kellam Mechanical team for taking care of my heating and cooling needs! Kellam Mechanical has been servicing my HVAC systems for 10 years. They have been most professional throughout these years. My most recent dealings have been with their technician, Jerry Wagner. Jerry is always friendly, courteous and thorough during his review of my system. He always discusses with me at the conclusion exactly how my system is working. It is his concern for making sure I am content as a customer that has caused me to ask Kellam Mechanical for Jerry to always be the technician that comes to service my units. Thank you Kellam Mechanical and Jerry Wagner for always making the maintenance of my heating and air conditioning a very pleasant experience. Know someone on the southside of Tidewater, Virginia that needs heating, air conditioning and electrical excellence delivered to their home or office? Start the new year thinking about saving on household expenses by upgrading to higher efficient heating and cooling equipment. Installing a new system can be the first step to improving your comfort and reducing your monthly energy bills by making a smart investment. Equipment manufactured today is considerably more efficient than in years past. If your heat pump, package unit or air conditioner is 10 years or older or your gas furnace, geothermal system or boiler is 15 years or older, even if it is currently working, it is a good time to start preparing for a new system in the near future. It is better to plan for it and be ready than be forced into an emergency decision when the system fails. There is a lot to consider when purchasing a new comfort system. ~Understanding how equipment is rated is a factor in your investment. Boilers and furnaces have AFUE (annual fuel utilization efficiency) ratings that measures how efficient the equipment operates on an annual basis. Heat pumps and air conditioners have SEER (seasonal energy efficient ratio) ratings that measure the efficiency of the equipment operating during a typical cooling season. The HSPF (heating seasonal performance factor) measures the efficiency of the equipment operating in the heating season. This information can help you determine what efficiency meets your needs best. The higher the efficiency, the lower your energy bills will be. 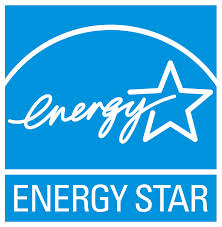 Consider installing reputable Energy Star products. 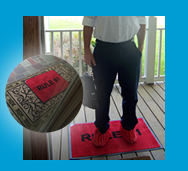 ~Proper equipment size is crucial in bringing the appropriate level of comfort into your home. Over sizing a comfort system can cause temperature control and humidity issues, higher energy costs and energy waste, so it is important to have a qualified contractor evaluate your home for proper comfort system design using Manual J load calculations. ~Good ductwork conditions are vital to deliver proper airflow and allow comfort systems to operate at the efficiency rating it was designed for, so have your existing ductwork evaluated when receiving equipment replacement quotes. ~Proper installations will set up the equipment for successful operation and longevity. Flawed installations can create failures and poor efficiency, so it is important to hire a qualified, licensed contractor that complies with city codes and employs NATE certified technicians. ~Some applications are perfect for geothermal or ductless comfort systems, which are both highly efficient and have fewer repair histories than other conventional equipment, which makes them excellent investment choices. When deciding on what equipment will meet your comfort and investment level, inquire about manufacturer rebate programs. High efficient equipment is often accompanied with rebates, so take advantage of money back if promotions are active. For more information on which equipment meets your comfort level best on the south side of Tidewater, call Kellam Mechanical at 757-430-0358. We are happy to schedule a free consult. 1. Programmable thermostats: controlling the comfort in your home with the ability to program your temperature schedule can save you up to $150 in energy costs annually according to the Environment Protection Agency and the Department of Energy. 2. 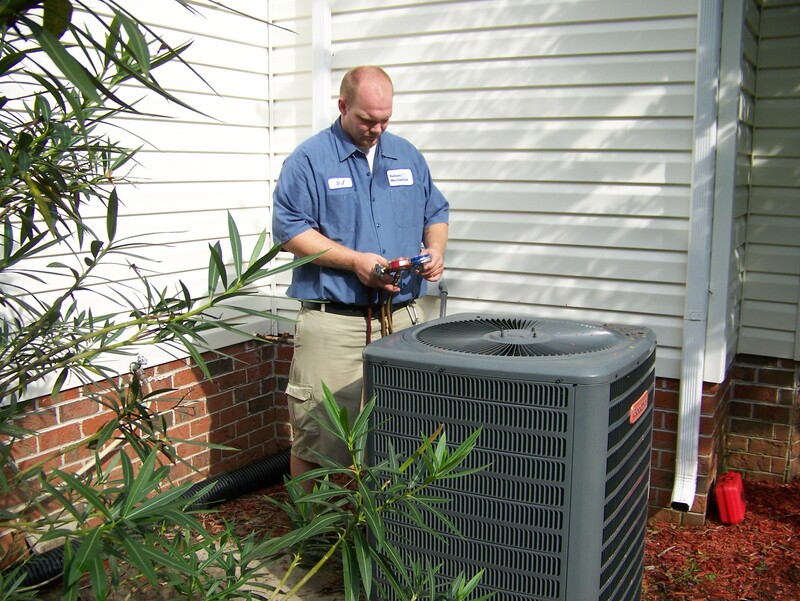 System Maintenance: Schedule you annual heating and cooling system maintenance. This will maximize your comfort system efficiency, saving energy costs and reducing failures. Energy Star research found that will save about $330 annually in heating and cooling costs. 3. Tankless water heater: Installing a tankless water heater saves up to 50% on water heating costs, it is also a spacer saver, delivers endless hot water, reportedly has fewer failures and service rates and has a life expectancy of up to 20 years. 4. High efficient heating and cooling systems: Installing high efficient equipment uses less energy, saving you monthly energy costs. In efforts to reduce energy usage, The Department of Energy is requiring a minimum 14 SEER rating in Virginia effective 1/1/15 for new equipment installations. 5. 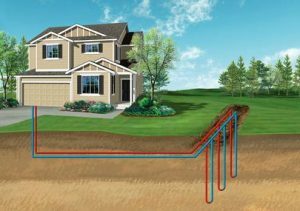 Go Geothermal: This is the most efficient comfort equipment on the market, using the earth to heat and cool your home and saves up to 70% on energy usage compared to a conventional system. This technology delivers strong returns to your wallet and to the environment. 6. Vacancy sensors: Install vacancy sensor switches to automatically turn off lights as you leave the room to save on your electricity expenses. 7. Insulation: A well-insulated house prevents air leakage, which uses less energy and protects your heating and cooling equipment from being over worked. When researching household appliances to make an environmental difference, look for Energy Star rated products. Be thankful for earth friendly practices and products available that enter into our lifestyles to bring environmental responsibility accompanied with savings. It is time to reduce your carbon footprint. Get started, go green and save green. For free quotes for comfort equipment installation for the southside, Tell ‘em Kellam! So, you love your gas appliances, because they are so efficient, but consider safety measures as we head into the heating season. If gas appliances are not properly maintained by a qualified technician, you could be at risk for carbon-monoxide poisoning through leaks or improper venting! Carbon monoxide can be found in combustion fumes, such as those produced from gas-burning stoves, dryers, furnaces, water heaters, boilers, fireplaces, lanterns, cars, as well as burning wood and charcoal. Aging equipment and gas piping can break down from corrosion and cause failures that could lead to leaks. Discovering cracked heat exchangers on furnaces is common this time of year, which is best to rectify before the heart of the heating season, in order to keep your family safe. Carbon monoxide is odorless, tasteless and colorless and can create symptoms similar to the flu from exposure. Symptoms from over-exposure are: nausea, headache, dizziness, weakness, vomiting, chest pain and confusion. Pets, infants, unborn babies, elderly and people with chronic heart disease, anemia or respiratory issues are at a much higher risk. Carbon monoxide poisoning is the leading cause of accidental poisoning deaths in America, according to the Journal of the American Medical Association. Annually, over 20,000 people visit the emergency room; over 4,000 are hospitalized; and an average of 400 people die from carbon-monoxide poisoning, according to the Center for Disease Control and Prevention. 1. Schedule a Kellam Mechanical Gas Safety Inspection for only $69! 2. Do not use charcoal, a barbecue grill or portable, flameless, chemical heaters indoors. 3. Never burn anything on a stove or in an unvented fireplace. Always open the flue when in use. 4. Never use a generator indoors, in the garage or near vents or windows leading indoors. 5. Install a quality carbon-monoxide detector. 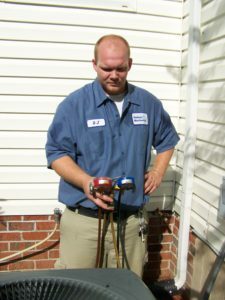 Kellam Mechanical employs NATE-Certified technicians to perform your Gas Safety Inspection, using a high quality leak detector on your gas appliances and gas piping inside your home. This includes the inspection of proper venting applications. Technicians are also trained to locate the proper placement in your home for optimal detection, and they stock detectors approved by the National Comfort Institute (NCI). These will set off an alarm at 10 parts-per-million, compared to detectors sold on home-improvement shelves that don’t start detecting until 70 parts-per-million after 2 hours of exposure, when symptoms have begun to set in. 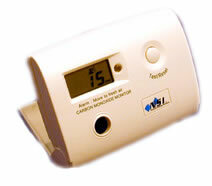 Carbon monoxide detectors save lives; so if you have gas appliances in your home, invest in a low-level detector! Natural gas smells like rotten eggs, due to the added compound, sulfur. If you suspect a leak or your carbon-monoxide detector alarms, exit your dwelling; and call 9-1-1 to have our local, friendly fire department secure your property. Then call Kellam Kellam to perform repairs in Virginia Beach, Norfolk, Chesapeake, Portsmouth and Suffolk, Virginia. Call today to schedule your Gas Safety Inspection, and take $25 off a carbon monoxide detector. Know someone who needs a safe home this winter? 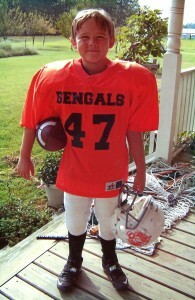 A few years ago I was driving my 8 year old son to his football game. It was a Saturday afternoon in the fall and it was a comfortable 64 degree day. My son was in the back seat and asked me to turn the air conditioner on. As I reached for the controls I asked why since it was already cool and he said “because my coach told the team at practice that the best conditioned team is going to win.” Clearly spoken from a heating and air conditioning contractor’s son! Imagine if children’s logic reflected reality. Our world would be a lot more interesting. Every home is different, so schedule a qualified technician to determine your best solution to overcome comfort issues. 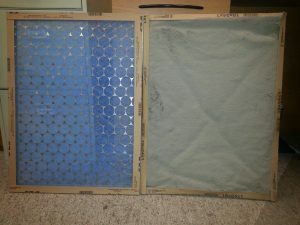 To optimize the efficiency of your comfort system and reduce failures, change your filters monthly. How important is the indoor air you breathe? Critical. There are many contaminants in your indoor air that can make their way to your lungs so take action before the fall and winter weather sets in to assure your indoor air is healthy. Take the time to consider what is circulating through your home. Floaters are in the form of germs, bacteria, viruses, pet dander, human skin cells, mold spores, paint and carpet odors, allergens, cooking and cleaning agents, household project debris, gases and dust. It makes me cough just thinking about it. Kellam Mechanical installs a proven solution called the UVPhotomax for easier breathing. The UVPhotomax uses the same photocatalytic process that the United States Military, NASA, hospitals and airplanes do to make indoor air healthier. This product is installed in your heating and cooling system and the advanced technology oxidizes at the molecular level to kill airborne floating contaminants. The solution also prevents bio-growth from clogging the coil fins. Dirty coils restrict airflow causing the system to work harder reducing efficiency, wasting energy. To introduce this solution to your home, schedule a qualified and licensed contractor for installation. Kellam Mechanical has NATE certified technicians that can apply adjustments to treat homes up to 6,000 square feet. For healthier indoor air, Tell ’em Kellam! DO I BAND-AID, PREP FOR SURGERY OR TRANSPLANT? Aging systems have higher rates of failure which can lead to costly repairs, especially systems with Freon leaks that use R-22. Freon supply is down causing the rate to rise significantly (up 400% since 1/1/12). Expect to pay up to $100 per pound. Aging systems often operate at a lower efficiency than new systems causing high monthly energy bills. Lost wages for time away from work to meet the technician. The rest of the system is still old, not guaranteeing that an additional 30 plus other parts won’t fail. Compressor replacements only have a 1 year warranty compared to 10 year warranties with new heating and cooling systems. If your heat pump (not including geothermal) or air conditioner is 10 years or older, the Environmental Protection Agency recommends upgrading to an Energy Star product that will deliver up to 20% more energy savings than older systems. If your comfort system has caused repetitive discomfort in your home due to failures, high repair costs, and/or high energy bills. 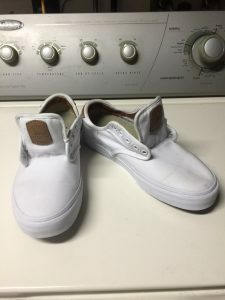 If you experience comfort issues. Excessive humidity and/or hot and cold spots throughout your home are indicators of poorly functioning equipment or improperly designed systems. Schedule your free Kellam Mechanical replacement quote now. It is a great start for budgeting, researching, and learning about your best options. This is a major expense to plan for and taking the stress of a failed system out of the equation makes this an easier family project. At the time of proposal, our Kellam Mechanical comfort consultant will deliver professionalism, respectfulness and quick responsiveness. A Custom Home Comfort Survey will be performed along with a thorough inspection of your existing ductwork which includes current sizes and condition since this can greatly affect the delivery of proper airflow to ensure maximum comfort and efficiency of the new system. Your comfort consultant will also perform a Manual J load calculation to ensure that your new home comfort system is properly sized to your home. An itemized proposal with system options and indoor air quality product will be presented for your consideration. At the time of installation, Kellam Mechanical will deliver prideful workmanship by drug free, NATE certified technicians. Warranty registration will be processed for you. City permits will be obtained and inspections will be scheduled when applicable to follow city safety codes. Quality Assurance processes and client follow up on all installations are performed. A new comfort system will pay you back in monthly energy savings, savings on repair costs as well as rebates and tax credits for qualifying equipment. Know someone who needs a new system replacement quote? Tell ‘em Kellam! 757-430-0358. July 9, 2014 / Heating and Cooling, Indoor Air Quality / No Comments on DO I BAND-AID, PREP FOR SURGERY OR TRANSPLANT? 1. Schedule system maintained annually with a qualified technician. Tune-ups provide higher efficiency and reduces comfort system failures. Kellam Mechanical’s USA (Ultimate Savings Agreement) 25 point inspection annual maintenance program pays for itself through energy savings and program discounts. 2. Change your disposable filters, or clean your permanent filters monthly. Pet dander, dust and dirt accumulate fast, clogging up filters which reduces airflow and causes your system to work harder. Dirty filters will cause system inefficiency and can lead to expensive repairs from compressor failures and freezing coils. 3. Protect the coils in your outdoor unit. Use caution when weed eating or mowing around the outdoor unit to prevent coil damage. Any deck or fencing should be at least 2 -3 feet from the unit to allow for proper airflow around the equipment and access for repairmen. Keep animals from urinating on outdoor coils to prevent corrosion, which can lead to expensive refrigerant leak repairs. 4. Remove the threat of water damage. Some units are located in attics above valuable living space. Install a ceiling saver safety switch that detects drain clogs. Safety switches shut down the system before water damage occurs. Water damage can be costly so be proactive and protect your ceilings, walls and valuables. This will help avoid the pain of insurance claims as well. 5. To fight corrosion, install a corrosion grenade. Systems within one mile of the ocean experience shorter life expectancies and higher failure rates due to salt and sand exposure. Rinse units down periodically with fresh water to help mitigate the effects of the harsh environment. 6. Install a surge protector to protect your equipment’s major components from voltage spikes and brownouts. 7. Choose the right contractor with educated technicians who are NATE certified. Kellam Mechanical Heating, Air Conditioning and Electrical, owned by Scott Kellam has earned the U.S. Environmental Protection Agency’s (EPA’s) ENERGY STAR certification, which signifies that the building performs in the top 25 percent of similar facilities nationwide for energy efficiency and meets strict energy efficiency performance levels set by the EPA. Commercial buildings that earn EPA’s ENERGY STAR certification use an average of 35 percent less energy than typical buildings and also release 35 percent less carbon dioxide into the atmosphere. 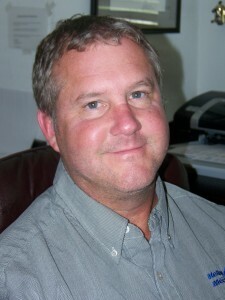 Scott Kellam constructed Kellam Mechanical’s office/warehouse in 2007 with energy efficiency at the forefront. EPA’s ENERGY STAR energy performance scale helps organizations assess how efficiently their buildings use energy relative to similar buildings nationwide. A building that scores a 75 or higher on EPA’s 1-100 scale may be eligible for ENERGY STAR certification and Kellam Mechanical scored an impressive 89%. Commercial buildings that can earn the ENERGY STAR include offices, bank branches, data centers, financial centers, retail stores, courthouses, hospitals, hotels, K-12 schools, medical offices, supermarkets, dormitories, houses of worship, and warehouses. To learn more about Kellam Mechanical’s green products and practices, click here! Don’t you love being in hot water? Not the kind with flashing blue lights, but on a cold day a hot shower starts the day on the right path…right? We take our water heater for granted every day. It serves many purposes that help glide us through our day without even thinking about it. Hot water for the shower…check. Hot water for cleaning dishes…check. Hot water for washing clothes…check. But when hot water fails to flow through the pipes our senses dislike that cold punch. Repairing or replacing water heaters are a part of household maintenance so it is important to know whether yours is gas or electric, the age and its gallon capacity (40-50 gallon is most common for single family homes). Conventional water heaters act as one of the largest household energy consumer behind your heating and cooling systems. According to consumer reports your water heater eats up to 30% of your energy budget. If your water heater is older than 10 years, it is time to think about replacing it. It is common for aging water heaters to rust and leak so keep a close eye on yours, especially if it is located in your attic. Leaks can cause expensive and inconvenient damage to ceilings, walls and personal belongings. Flood safe shut off valves are also a smart solution. It detects leaks then activates the shut off function to prevent unnecessary water overflow damage. Drain pans will not hold 50 gallons of water! Energy efficient technology has advanced so take advantage of welcomed savings when selecting a new water heater for your home. Annual cost of operation rating stickers are located on the tank to refer to for savings guides and Energy Star labels indicate certified energy efficient products. Every household consumes different amounts of water, so consider the recovery rate when ready to replace. This measures the number of gallons a water heater will heat in an hour. The dimensions can also be a crucial factor as well if limited space is available. Tankless water heaters deliver exceptional efficiency and since it heats water as used, not stored, there is an eternal supply of hot water. They also last about 20 years compared to the conventional water heater’s life expectancy of 10 – 15 years. Repairs are reportedly fewer, parts are easier to replace and the tankless model is less likely to leak. Also, its design is small, a welcomed space saver is. Energy Star reports that tankless water heaters can deliver up to 34% energy savings using 86 gallons less daily equaling approximately $100 annual savings. Conservation. According to the EPA less than 1% of the earth’s water is usable by people. The rest is salt water or frozen. The average household uses 260 gallons daily. With a little effort this can be reduced. It is responsible to practice conservation so take in a few tips to save energy, water and money. Use rain barrels to water lawn and outdoor plants; reuse water to feed indoor plants. Install a smarter, high efficient water heater, tankless water heater, clothes washer, dishwasher and toilets. Set your water heater at 120 degrees to save 6 – 10% energy. Qualified contractors. When scheduling your water heater repair or replacement, turn to a licensed and insured contractor. Kellam Mechanical values trained technicians and dispatches NATE certified professionals to deliver code compliant service. 757-430-0358. Tell ’em Kellam! April 25, 2014 / Heating and Cooling / No Comments on How old is your water heater? To show our cust omers that we value them and we have a serious commitment to customer service, we implemented a Customer Bill of Rights. We provide this document at every visit to your home. First, we offer a 100% Money Back Guarantee. If you are not satisfied, for any reason, within the first year after installation, we will remove the equipment and give you a full refund. Secondly, our employees are courteous and on time. Kellam technicians are drug free and smoke free. Don’t worry about finding cigarette butts on your property, because it will not happen. We offer a Clean Home Guarantee as well as an On Time Guarantee. Thirdly, your comfort is a priority. With our Comfort Guarantee, we promise that there will be no more than a 3 degree temperature variance between rooms. Our total comfort system air will be re-balanced if needed. A 24 Hour Service Guarantee is also a part of our Bill of Rights. If you have a problem during the warranty period with your comfort system repair and it is not completed in 24 hours, we will pay for your night in a hotel. Kellam Mechanical takes the service to our clients seriously. For more info or details on our Customer Bill of Rights, click here!. April 3, 2014 / Ductwork, Electrical, General, Geothermal Systems, Heating and Cooling, Indoor Air Quality / No Comments on Customers have Rights! A few feet below the earth’s service, the temperature stays constant. This ground temperature is warmer than the air above it in the cold seasons and cooler in the hot seasons. Geothermal heating and cooling is based on this technology of generating heat and cool air right from your backyard. Geothermal heat pumps use up to 80%less electricity than conventional systems because the energy is used to move heat not create heat. This means a lower energy bill; and according to the Environmental Protection Agency, geothermal systems reduce energy consumption and corresponding emissions delivering warmer air than conventional systems and regulating humidity control by maintaining around 50% relative indoor humidity, making these systems very effective in humid areas. Whether you are constructing a new home or replacing an old unit in an existing home, the geothermal system is a smart investment. It costs less to install and operate than a conventional system based on your return on energy savings and the life span of the equipment which is up to 25 years. Studies also prove that fewer failures occur with geothermal systems, which reduces repair costs. We, at Kellam Mechanical, believe so much in Geothermal Heating and Cooling that we not only installed this technology in our office building, but also in our personal residence and we LOVE the savings! Kellam has NATE certified technicians available to ensure a proper installation and strategically installs equipment in crawl spaces and attics to preserve the beauty on the outside of your home. To reduce your investment, apply 30% tax credits that are available only through 2016. Be green and save green with an energy efficient comfort system through Kellam Mechanical at 757-430-0358! Imagine Your Home Without Power! That’s right; imagine a huge Tidewater thunderstorm, snow storm, or hurricane has knocked out your electricity. Your home is dark, the fridge is becoming a food coffin, there’s no way to cook dinner, and the load of laundry is still wet in the dryer. Don’t let your family be cold, hungry, and without hot water in extreme weather. Prepare now. Your solution is a generator. Your whole home generator senses the outage and within seconds turns on automatically to supply backup electricity until the utility power returns. Whether your electricity does not return for 2 hours or 12 days, having a home backup generator delivers comfort and peace of mind for you and your loved ones. Kellam Mechanical trusts Generac Whole Home Generators and has been installing them for over 15 years. We are happy to help choose the correct size of generator for your home and family. We can also help you maintain it annually so it will work in your time of need. As we all know a generator in Virginia Beach can be a life saver during bad weather. Call 757-430-0358 or schedule an appointment online today! Know someone who wants uninterrupted power? This local Coastal Virginia weather has been fun this winter. We experienced eight to ten inches of snow earlier in the year then bounced to 75 degrees then roller coasted back down to freezing temps. After turning your heat on and off several times, you may wonder “when was the last time I called a HVAC contractor”? A tune up is in order. A tune up will improve efficiency and the life of your heat pump. A tune up will ensure your unit is clean and has good air flow. A tune up will reduce your energy usage and monthly utility bill. A $90 rebate is available now from our local power company! Through Dominion Virginia Power, Kellam Mechanical is able to offer Heat Pump tune-up rebates. As a participating company, we can help you tune up and earn a rebate. Note there is one tune-up rebate per unit. If you feel it is time to upgrade to a higher efficiency Heat Pump, call Kellam today. 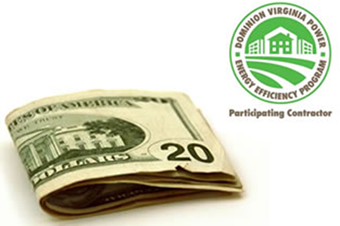 After heat pump installation, Dominion Virginia Power offers a $250 rebate. Working From Home? Make Sure Your Heating And Cooling System is Working For You! Properly seal ductwork to improve your effiency up to 20%. It is common for homeowners to be unaware about air leakage since ductwork is tucked away in crawl spaces, behind walls or in attics, so consider having a technician inspect the existing condition of your ductwork and perform air diagnostics to ensure proper energy savings. Staying home and working is a great way to take a break from the office and give yourself a bit more flexibility, and doing so is becoming increasingly popular in the United States. However, if you don’t have a good heating and cooling system, it can be hard to get anything done. In fact, studies have shown that comfortable temperatures can lead to productivity increases of up to 30%. So if you are one of the 45 million Americans who spend time working from home, making sure your house or apartment has duct work efficiency so that you can stay comfortable all day is a good idea. There are several different duct work efficiency problems that could cause your heating and cooling system to fail to work properly. One of the simplest and most common, though just as problematic as all the others, is leaks. Over time, even the most well-built and durable systems could see connections work loose or rips and tears develop. When that happens, the cold or warm air escapes, meaning that homes will not stay comfortable. Fortunately, experienced service professionals will be able to identify and fix these problems quickly. 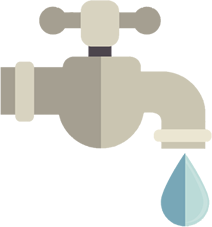 Leaks might be common, but they are hardly the only issue that could develop. In addition, you might have to try to fix obstructions, where a build up of dust and dirt on filters or simply an item blocking a vent prevents air from flowing, and the actual placement of ducts. The latter could lead to a number of other problems, like contaminants entering the air from the attic or certain zones of a home not reaching proper temperature. Generally, the best way to overcome those issues is to hire a talented and highly trained professional who understands the ins and outs of even the most complex HVAC systems. 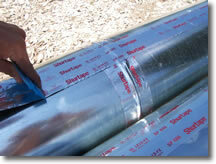 While problems with duct work efficiency might make it tough to work from home, they can also be costly. In addition to repairs, inefficient heating and cooling systems could cause utility bills to skyrocket. When airflow restrictions occur, systems will have to run longer and harder than they normally would to bring rooms to a comfortable temperature. So investing in regular maintenance and repairs will prove to be quite worthwhile in the long run. If you wake up in the morning and simply don’t want to deal with the hassles of rush hour traffic, noisy employees, or just putting pants on, then working from home is a good choice. But, if you want to remain productive, you’ll have to make sure that your HVAC systems are working properly so you can stay comfortable. December 13, 2013 / Ductwork / No Comments on Working From Home? Make Sure Your Heating And Cooling System is Working For You!